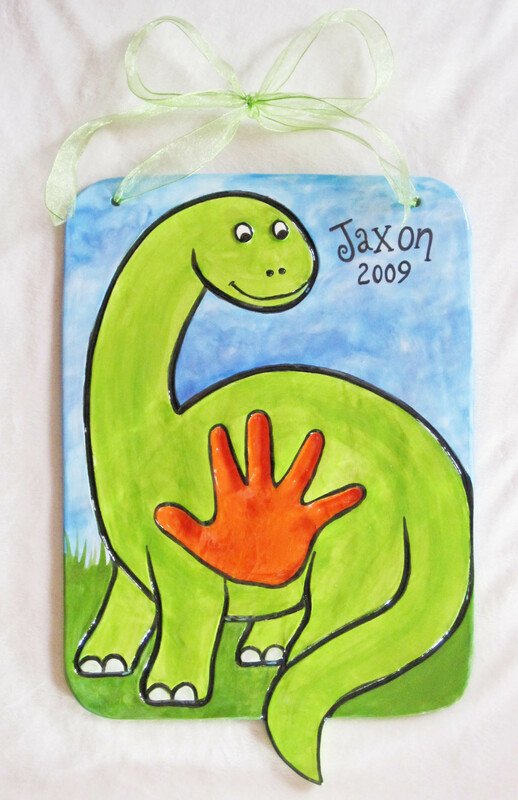 Dinosaur Hand Impression. $65 Let me create your one of a kind heirloom-quality keepsake. The design above is an example of "Design your own". Jaxon's mom asked for a dinosaur and here's the finished creation.